OUR FRIENDS AND THIER GUITARS! Above: Heres a happy young man! His dad Steve bought this vintage PF-230 Ibanez for him...he never saw it coming! Suprise! 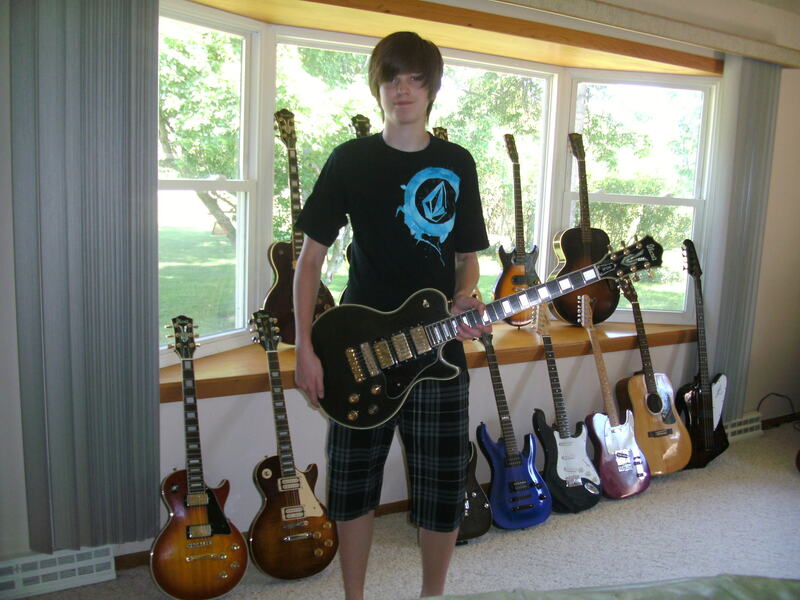 As you can see, his dad knows something about quality older guitars....check those babies out! Whoa! This page is dedicated to our friends and thier guitars....plus the odd surfboard or classic car.....Got an axe you want up here? Send me some pics and I'll put 'em up. Try to keep your photos under 200 megs in size! Enjoy! This little group belongs to a new friend of mine, Clive in Australia. Clive has just really gotten back into the collecting habit again, and I'd say he's off to a heck of a start. 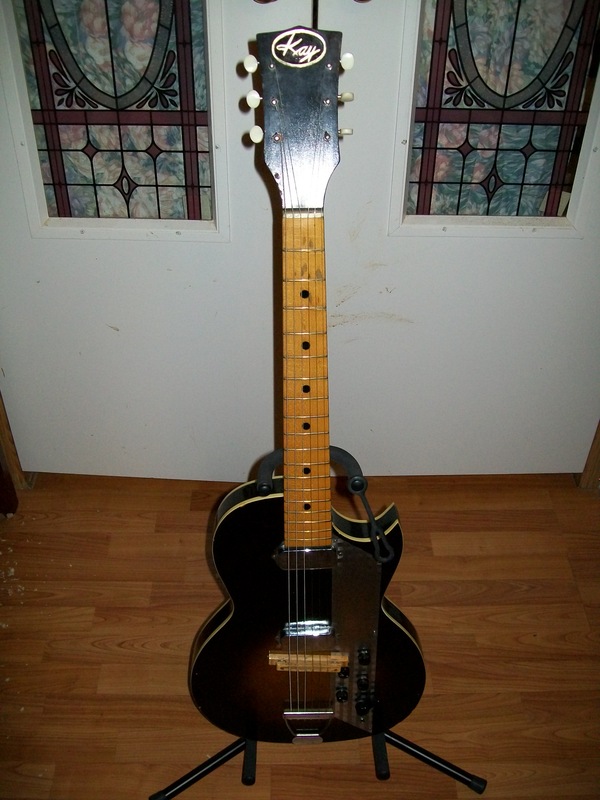 The first guitar up is one Ive recently sold him, its a 1960 Kay model 1962 Value leader. Hollowbodied, two pickups, nice fast maple neck, this is a great blues guitar for sure! 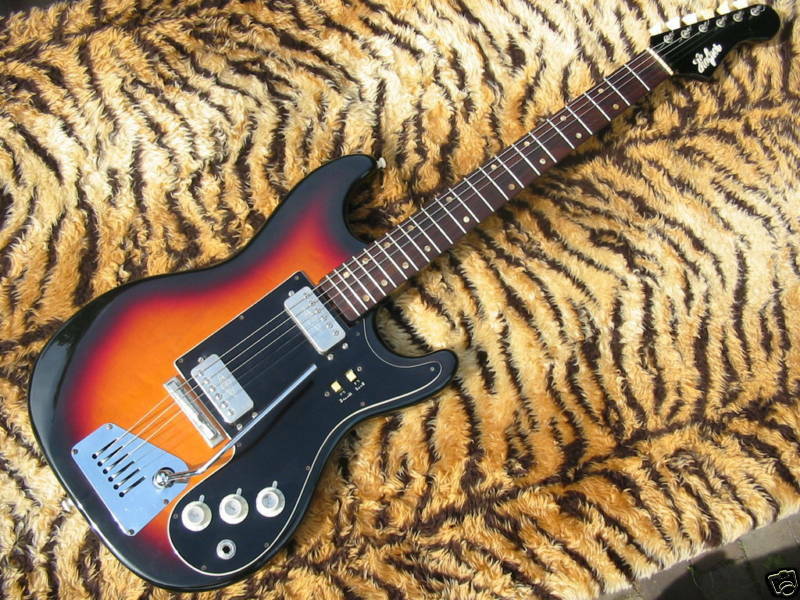 The next one up is one near and dear to my heart, its a mid sixties Hofner model 172...this is the guitar that the Kapa Continentals are modeled after. Two nice Hofner humbuckers in this old girl, she will definitely rock. 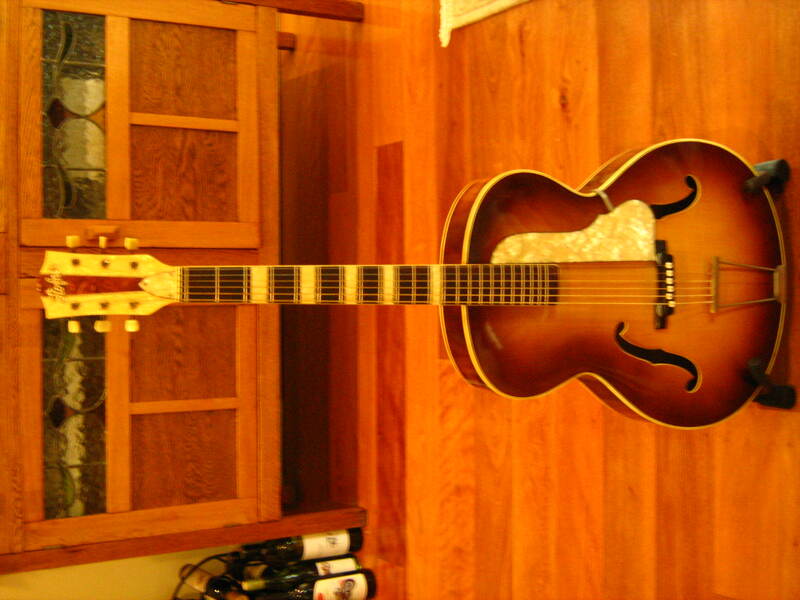 The next one up is an unknown age Hofner archtop, I'll need to get more from Clive on her, but she is a beauty and in tip top shape! 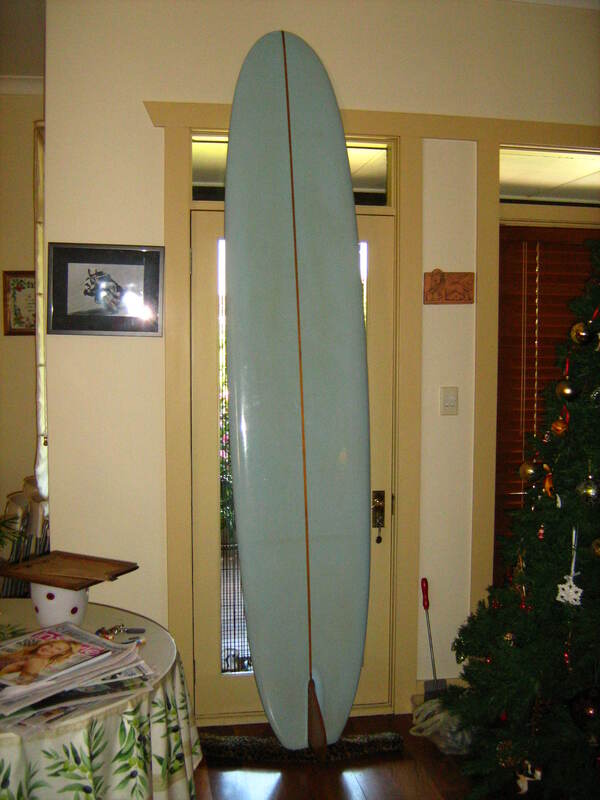 The last guitar isnt a guitar....its one of Clives boards...you gotta give the man credit for bravery surfing around those great whites lurking off Australia! No worries though, Clives an experienced surfer and can hold his own with any big fish!